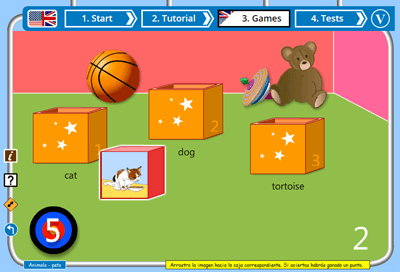 Mix and match is a simple drag and drop matching activity for learners of English as a second language (ESL and ESOL). The game is set in a play room where the toys need to be put away. Picture blocks must be put in the correct boxes to score points. Beneath each box is a English word or phrase.